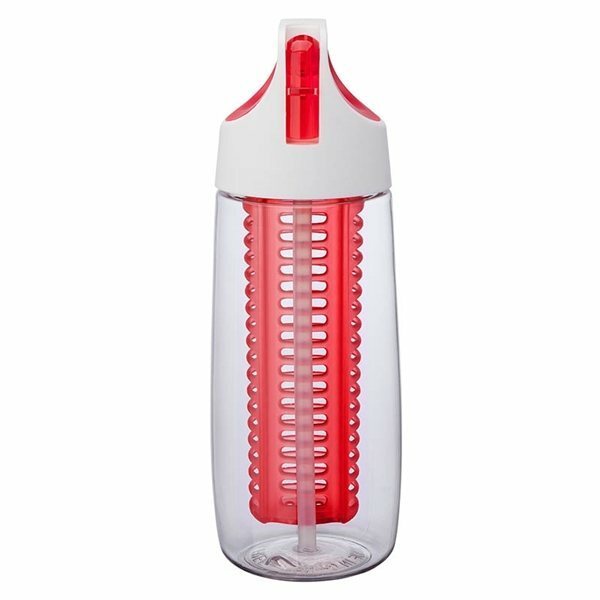 The Cruise 28 oz. 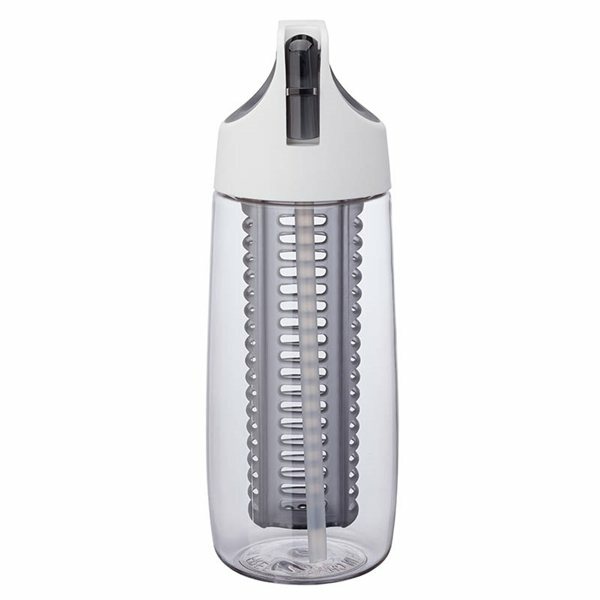 Tritan™ water bottle is a fitness lover's dream. 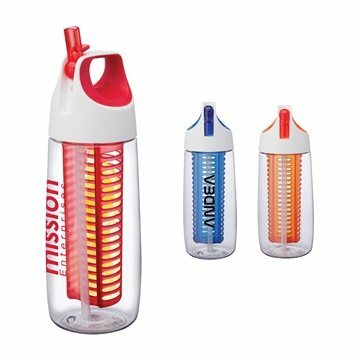 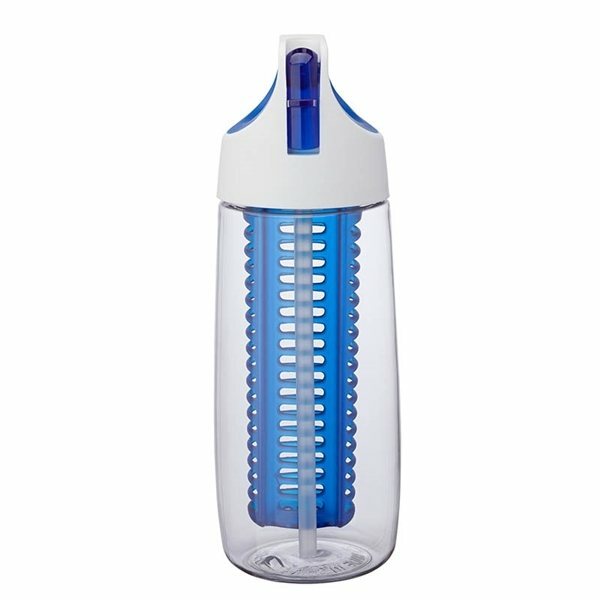 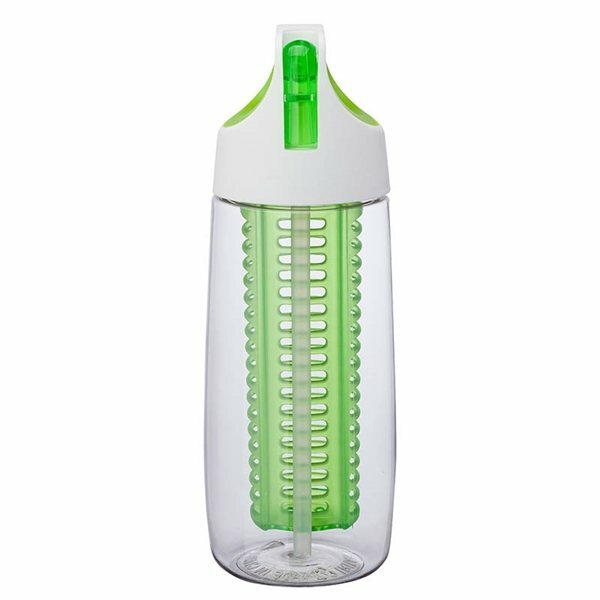 It comes with matching color translucent flip up spout, integrated soft-touch carry handle and fruit infuser, and a clear drinking straw. 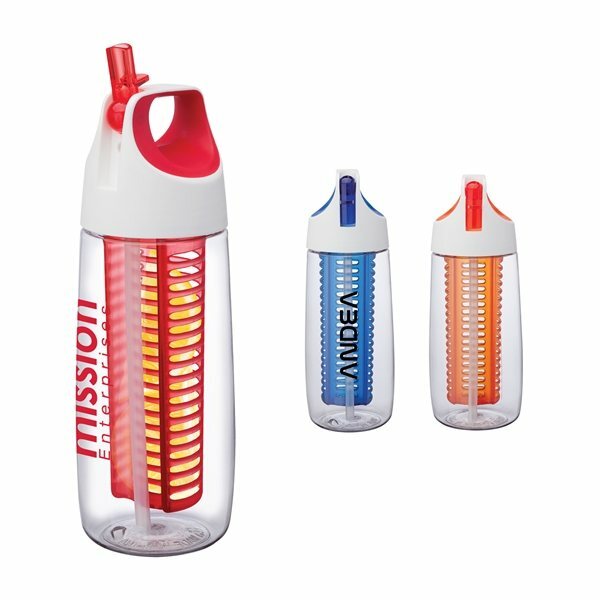 Use the infuser to give your water vibrant taste by adding the fruit of your choice. 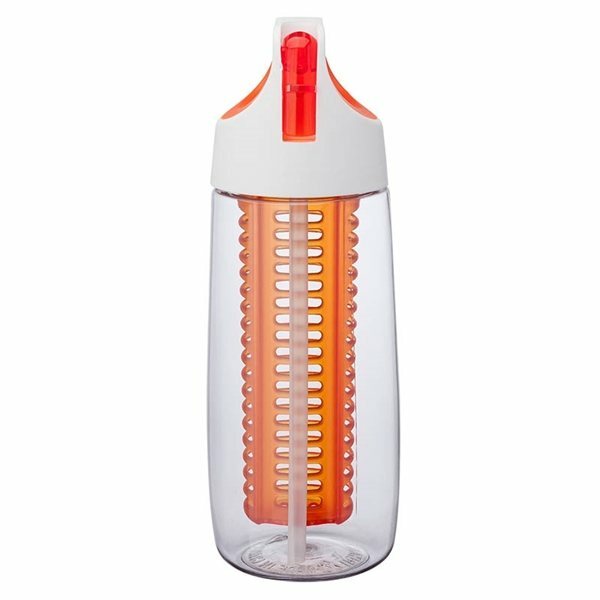 Finish / Material: Silicone, Tritan, Polypropylene.